Car insurance prices are calculated using a variety of factors. 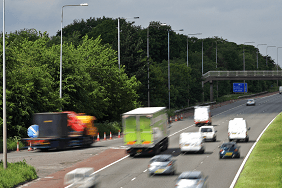 Take a look at these top tips for finding cheaper car insurance. Car insurance can be a major expense for many. 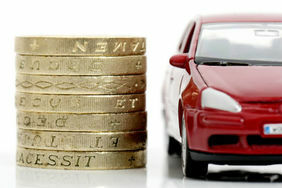 According to the latest Confused.com car insurance price index the average comprehensive policy now costs £762. The price you pay depends on your own circumstances eg your driving experience and where you live. 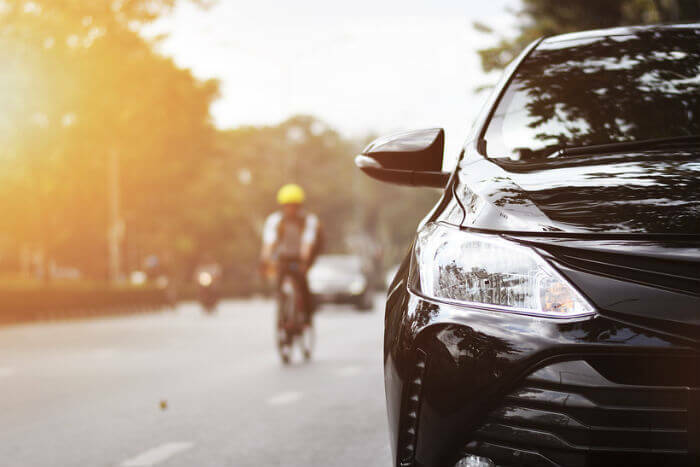 Over the years we've learned a few things about cutting car insurance costs, and we're here to share these secrets with you. Choose a car you can afford to run - the higher the car insurance group, the higher the premium. Make sure the car is fitted with up-to-date security systems. Be clear on who owns and drives your vehicle. Tell your insurance provider how you use your car. Get your type of cover and the mileage correct when filling in your details. The higher your voluntary excess, the lower your premium is likely to be. Your car's value, type and engine size all make a difference to your insurance cost. The general rule is, the smaller the car, the lower the premium. If you haven’t bought a car yet, check quotes for the vehicles you’re considering. Is the car an import? Cars that have been imported privately can be more expensive to insure, as parts can often be harder to find and are therefore more expensive. If you buy an imported car, you stand more chance of getting cheap car insurance if it's a UK-specification model. A car fitted with a security device like an alarm, immobiliser or tracker means it’s less likely to be broken into or stolen. And, in turn, insurance companies are more likely to offer you a cheap car insurance quote. Most newer cars (those built after 1997) come fitted with an alarm and immobiliser as standard, but you might want to consider adding additional security devices such as a tracker. Car alarms are a criminal deterrent to protect your car and valuables like your stereo. Once activated, the alarm will sound if the car is jolted heavily, if the doors are opened or the windows are smashed. The latest alarms can also alert you if they are activated. An immobiliser is an electronic device that prevents a car from being started until it has been deactivated. Although this won't stop a car from being broken into, it may stop it from being stolen. If your car is stolen, it has a better chance of being recovered if you have fitted a tracker device. Trackers are a great way to get cheap car insurance. If your car is in the UK, the police can recover it by following the tracker signal back to its source. For newer cars (those built after 1997), most manufacturers will have given this information to insurers to help them provide accurate car insurance quotes. If your car is older, you will need to find out the make and model of your alarm in order to get a quote. You should have the details with the car's paperwork. Trackers are mostly fitted by owners as an extra and don't often come as standard. When shopping for car insurance, quotes can be higher if the owner of a vehicle isn't the same person as the registered keeper. For example, if you drive a company car, or if you own the car but your children drive it. This is particularly important when looking for prices online, as most quotes require the owner and registered keeper to be the same person (or partners). If you’re an inexperienced driver, adding an experienced driver like a parent to your policy could bring down the cost. However, if you lie to your insurer about who the main driver is, it could invalidate your policy. It’s important to tell your insurer how you use your car. If you give the wrong use, the insurer may not pay out eg if you say you use your car for commuting but have an accident on the way to a business meeting. Most insurance companies will let you add ‘business use’ when you need it for a small fee. This covers drivers for normal day-to-day driving, such as a visit to family, friends or to go shopping. This covers a drive to and from the normal place of work, and includes travelling and parking at a railway station. This covers using your car in connection with your job, such as driving to different sites away from your place of work. This covers the car to be used for such things as door-to-door sales. It's important you buy the right type of cover for your needs, otherwise the insurance provider might not pay out if you need to make a claim. Many drivers looking for cheaper car insurance instinctively opt for third-party, fire and theft. But, with many higher risk drivers looking for cheaper cover, the average price of these policies is being pushed up. Don’t simply assume a third party policy will be cheaper - make sure you check comprehensive cover as well to see the difference in price. Third-party insurance covers any claim by other parties, but doesn’t cover damage to your car. This is budget car insurance where you’ll have to pay to repair your car yourself. Third-party, fire and theft covers fire and theft of the car and any claim by other parties. Comprehensive car insurance covers accidental damage to the vehicle, in addition to fire and theft and any claim by third parties. The excess is the first part of a claim that's paid by you, though you can get your money back if the claim is deemed 'non-fault' by your insurer. Opting to pay a higher voluntary excess can bring the cost of your insurance down. But if you do need to make a claim, you'll have pay the excess, so make sure it an amount you're comfortable you can afford to pay. Leaving your car parked in a driveway or garage is sometimes deemed to be safer than leaving it on the roadside and this could also help to lower your premiums. Having points on your licence will likely increase the cost of your cover so make sure you drive responsibly and keep your licence clean. Instead of paying for insurance based on the average driver, black box insurance is based on when and how you drive. You can’t say fairer than that! If you’re frustrated at having to pay a high car insurance premium, having a black box fitted could be the answer to your problems. It's an obvious one for us to say but letting your insurance auto-renew could cost end up costing you. Shopping around will not only give you peace of mind you're getting the best possible deal but could also save you some money. Many insurers also offer deals for new customers meaning you could make a saving and come away with a little extra like cashback or a voucher. We make it easy to compare car insurance quotes but for a fair comparison, make sure you're comparing on a like-for-like basis. This makes sure that things like the voluntary excess, level of cover and any add-ons should be comparable. Think about whether you need extras such as legal expenses cover, windscreen cover or use of a courtesy car. These extras can soon add up and increase how much you end up paying for your policy. If you feel like you genuinely need the extras, it's still worth shopping around to make sure you're getting the best deal without sacrificing your level of cover. Don’t just choose the same insurer as your partner, family member or friend, as there’s no one-size-fits-all when it comes to cover. Each insurer uses its own statistical data to set prices, so the price you’ll pay will vary from company to company. 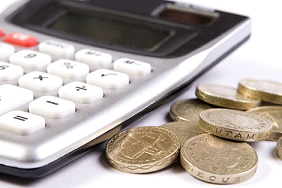 Typically, paying for your insurance on a monthly basis costs more than if you opt to pay for it in one go. Some insurers don't even offer the choice of paying monthly so if it's something you care about, you could end up with fewer and more expensive insurers to choose from.